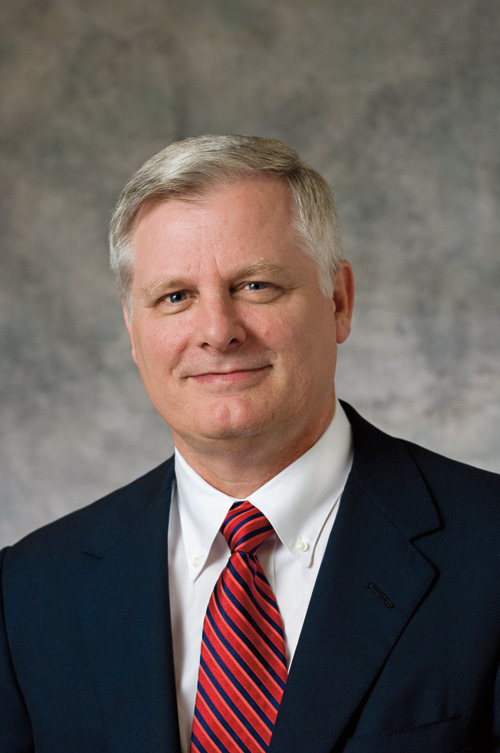 HOUSTON, May 14 /PRNewswire/ -- LyondellBasell Industries today announced that its Supervisory Board has named James L. (Jim) Gallogly chief executive officer, effective immediately. Gallogly will succeed Volker Trautz who has announced his retirement from the company. The terms of the appointment are subject to the approval of the U.S. bankruptcy court overseeing LyondellBasell's reorganization plan. "Jim is a highly respected executive in the polymers, chemicals and fuels industries and experienced in successfully navigating the cyclical challenges of these businesses," said Len Blavatnik, Chairman of LyondellBasell's Supervisory Board. "His impressive record in the industry, combined with years of international experience, makes him the right person to head LyondellBasell and to fully realize the company's potential," Blavatnik said. "I am pleased to welcome Jim to LyondellBasell," said Trautz. "I have known him for many years, and I am confident that he will successfully guide the company as it reaffirms its leadership position in the chemical industry." Gallogly commented: "LyondellBasell has an extremely capable management team and a sound strategy for advancing the company in the years to come. My role will be to harness the initiatives that are currently in motion, and manage the business and operations as we successfully transition out of Chapter 11 near year end. "LyondellBasell boasts a heritage of innovation and excellence and a global footprint that makes it one of the elite participants in the chemicals and polymers markets. I believe in LyondellBasell's long-term potential, and I have the highest admiration for the people at all levels of the company who have executed well in recent months under extremely challenging conditions. I look forward to working with the leadership team to deliver value to our customers, employees, creditors and investors," Gallogly said. Gallogly already has met with a number of the company's stakeholders and shared his vision for the company. Earlier this year, LyondellBasell voluntarily filed to reorganize its U.S. operations and certain European holding companies in order to restructure the company's debts and reposition operations for future growth. Gallogly comes to LyondellBasell from ConocoPhillips where he served as executive vice president of exploration & production, and before that as executive vice president of refining, marketing and transportation. From 2000 to 2006, he was president and chief executive officer of Chevron Phillips Chemical Company, one of the world's top producers of olefins and polyolefins. Gallogly began his career with Phillips Petroleum Company in 1980, serving in a variety of legal, finance and operational roles including two assignments in Stavanger, Norway. He also served as vice president of plastics and later senior vice president of chemicals. Gallogly serves on the board of directors of the American Petroleum Institute. He previously served on the boards of the American Chemistry Council, the American Plastics Council and the National Petrochemical and Refiners Association. He received a Bachelor of Arts degree from the University of Colorado in 1974 and a law degree from the University of Oklahoma in 1977. He completed the Advanced Executive Program at the J.L. Kellogg Graduate School of Management at Northwestern University in 1998. Gallogly was born in St. John's, Newfoundland, Canada. He currently resides in Houston. Photo caption: James L. (Jim) Gallogly, Chief Executive Officer, LyondellBasell Industries.